A historic Norwegian military ship will be docked at Baltimore's Inner Harbor until November 11th. It will be available for free public viewing Saturday, November 7th and Sunday, November 8th from 10 a.m.-4 p.m.
Statsraad Lehmkuhl was built in Germany in 1914, and was used as a training vessel for German Merchant Marines until the end of World War I, when it was taken as a prize by England. In 1921, England sold the ship to Norway, who used the ship as a training vessel. In 1940, the Germans confiscated the ship and held it until 1944, when it was returned to Norway. 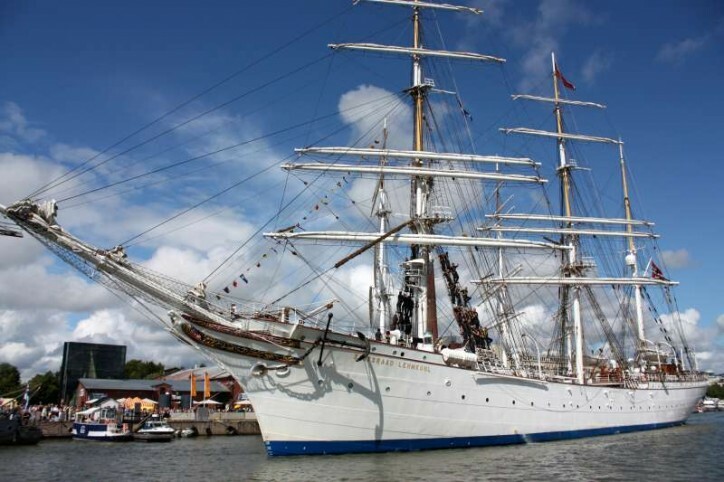 It's now used as a training vessel for Norwegian Naval Academy Cadets.